Remember the insanity that is the all-new Jeep Cherokee? No? You blocked it out? Well, if you want to buy one, it will cost you a mere $22,995 for a base model. Not bad at all. The new Cherokee has what could be called a distinct, bold design. I tend to think it's pretty neat, but I know a lot of people can't stand it. 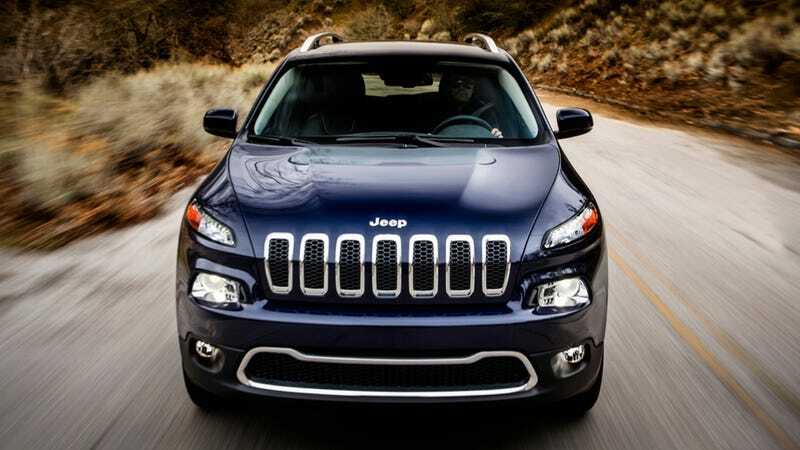 Will The Design Of The 2014 Jeep Cherokee Make It A Success Or A Failure? At $22,995, the Cherokee will cost less than the Liberty that it replaces, and will offer 30 MPG on the highway as well as a nine speed automatic gearbox. So head on down to your local Jeep emporium and reserve yours now. And if you don't like the way it looks, just sit inside it and never look at the outside.